To receive up to a maximum of 100 commission free internet stock trades (equivalent to $695 in free trade commissions at a value of $6.95 per trade), account must be funded with equity valued at $2,000 or more within 30 days of account open date. 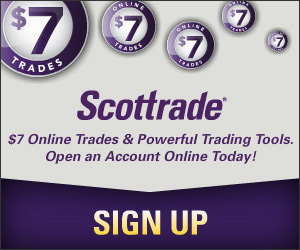 Eligible non-retirement accounts will pay the commission on all trades at the time of trades ($6.95 for stock and options trades plus an additional $0.75 per options contract), and the account will be credited with up to $6.95 per trade within eight weeks of qualifying (excludes option contract fees). Eligible retirement accounts will receive commission-free online equity trades at the time of execution for 30 days after account funding. Qualified commission-free internet stock trades must execute within 30 days of account funding. You will not receive cash compensation for any unused free trade commissions. To receive up to $100 account transfer rebate in additions to 100 free trades, account must have transferred equity valued at $25,000 or more within 30 days of account open date. You must apply for the transfer fee reimbursement offer by completing and submitting a Firstrade Account Transfer Rebate Form and an account statement providing proof of imposed transfer fees. Account Transfer Reimbursement Request forms and proof of transfer fees can be mailed or faxed to Firstrade. Submission must be postmarked within 90 days of account opening. Reimbursement will be made to your account via a credit approximately 6 – 8 weeks after receipt of the Account Transfer Rebate Form and proof of transfer fees. To receive a $100 cash bonus in addition to 100 free trades & $100 account transfer rebate, account must be funded with $50,000 or more in equity within 30 days of account open date. Cash back bonus will be credited to your account approximately 6-8 weeks after funding date. IRA accounts are not eligible to receive the $100 transfer rebate or $100 cash back bonus. The 100 commission free trades seem to be a lot for most investors. However, since the free trades must be used in 30 days, I doubt how much investors can benefit from the promotion, especially those who take the buy-and-hold approach when it comes investing. As for the $100 account transfer fee reimbursement, it is pretty standard (see How Much Does It Cost to Transfer A Brokerage Account?). As far as I know, many brokers, including Scottrade, TradeKing, and OptionsHouse, all offer at least the same amount of fee reimbursement.